How Would You Blow $50,000 If You Had To? Remember that movie Brewster’s Millions where the main character has to spend $30 million dollars in thirty days? And if he doesn’t he loses out on an inheritance worth $300 MILLION, and he’s also not allowed to tell anyone about it?? Why $50,000? 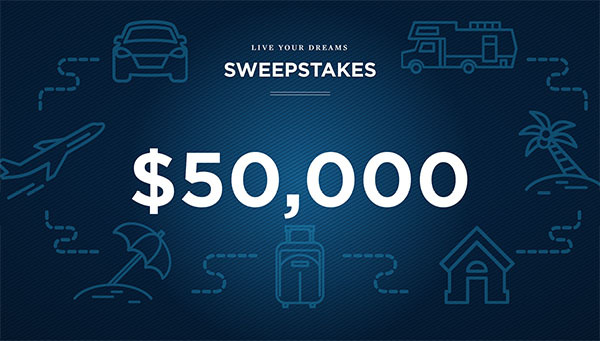 Because it’s the exact amount that my favorite company in the whole world is giving away right now (USAA), as part of their Live Your Dreams Sweepstakes!! And yes – I’m getting paid to share this today which I happily agreed to because again it’s FIFTY THOUSAND DOLLARS for someone!! The giveaway’s going on until November 20th, and you don’t have to be a USAA member to enter! #1. How would you spend $50,000 this weekend?? What would you do if you weren’t allowed to be fiscally responsible with it?? What have you been dying to get but are too frugal to do it?? But your turn now ;) How would you spend $50,000 if you had to over the weekend??? Channel your younger self when all you wanted to do was spend money!! Alright, so to enter you have *three ways* depending on how old school you want to do it ;) Do either of them by midnight on November 20th though and you’ll be entered to win. And again – you don’t need to be a member of USAA in order to enter. The winner will be announced around Dec. 14th, and again – either of the three will get you entered. 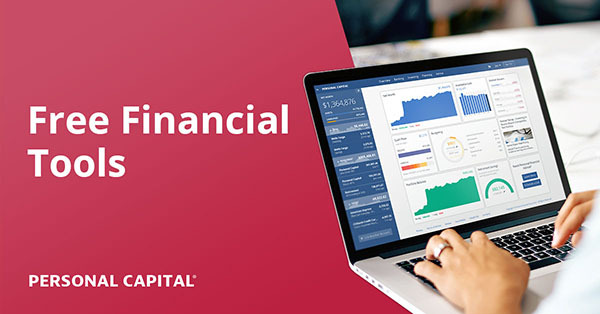 PPS: As mentioned above, this is a sponsored post where I’m sharing the awesomeness that is USAA in exchange for money… Much less than $50,000 unfortunately. Another perk of being financially independent – you can give more! Love it! Nice to dream… now back to work! Haha… thanks for playing along! 6) book a cruise for the family – $12000? In reality? Most of it would go to paying off my mortgage and investing into my Vanguard portfolio. Haha… you’re much better at it than I. $50K provides some food for thought… in this case, literally. I’d probably take my wife on a once-in-a-lifetime international culinary tour. For these places, getting the money is probably the easy part. For Fäviken, just getting there is half the battle. The true challenge is getting the reservations. Even when you manage to check all the boxes and are dining at the restaurant, you aren’t necessarily out of the woods. When we were in Paris, we dined at Alain Passard’s L’Arpège. After a five-hour meal, we were left with a four-figure bill… and our credit card was declined. Fortunately, we had another card that worked, but that was a tense five minutes. I’d spend it all on travel. Trips: An epic first-class trip over about 6 weeks to see a game in every MLB park, and an extended tour of Europe. I suspect those two trips would quickly burn through $50K. I’d buy a small camper for family road trips and a decent used vehicle to pull it. We’re saving for that now anyway, might as well accelerate the plans. With the rest, I’d probably have a contractor knock down the wall between our living room and family room to open up our living space. I think you need to make it happen with or without winning this money :) What an experience that would be!! These days, spending $30 million in 30 days strikes me as pretty easy. Personal yachts cost more than that for some billionaires. So, buy an expensive yacht and you’re done. Once the 30 days is over, sell it and spend at your leisure. $50,000 in a weekend is more difficult because it’s not really enough to buy one large thing and be done. If I took a high roller trip to Europe for the weekend, I bet I could blow $50,000. In the movie, he wasn’t allowed to buy assets that could be sold after the fact. He had to spend it / waste it. His rich Uncle was trying to get him to the point of being sick of spending money so the remainder ($300 mil) wouldn’t be wasted. It was a crash course on money and a pretty fun movie. I would buy a Porsche 356 from 1962 (my birth year) and everything needed to restore it. That would keep me busy for a while! If there is still some money left over, I would buy an e-bike. Still more left over? I would buy the wood and decking so I could replace the deck on my house. Can you tell that I like to work on projects? I just realized I could easily blow $50,000 in an afternoon. Wow. Hit up Grayson Bell from our community for bloggy-tech help, he’s great! And super nice! I’d go on an around the world cruise and clothes for the trip. What I’d really do is pay off my car and get new flooring in my house. Fun spending? Tesla Model 3. Done and gone. Real spending? Kill off a home reno loan. Stash some in VTSAX. Stash some for the next (responsible) car purchase, a used mini van. Good to stretch our brains every now and then!! Well I guess it is back to reality and work ……….. If I have to literally blow away the whole pile without a clue until Monday I would rent a renovated 1969 Dodge Charger and hit the Route 66 with the family. Go as far as we can while stop every place we feel so, visit every restaurant/pub we desire and attend every punk concert on the way. Spend 50K, in a weekend? 6. book a crazy awesome trip for my wife and I. Either a Canadian Rockies train tour or a Panama Canal cruise 13k. I’ll send an entry in. I would use the online quote, but they require a social security number. They only need the number if I win, or buy insurance. I’d love to get more into train stuff as time permits later… We go to train shows every year and I’m constantly in awe of how people put those things together! My kids love it! I’d take the family on a European vacation. Hire someone to clean my house weekly. Get my kids the brand name things they want that i think are rediculous – beats headphones, hollister clothes, expensive shoes. 1) $20k to finish renovations on our house (gut the guest bathroom, new countertops in the kitchen, new cabinet doors everywhere, and a lot of painting). 2) $7k A trip to Disneyworld with our kids while all the painting is being done. Bring grandparents along to help. 3) $5k Book a trip (location undecided) for my husband and I (and our 4 month old baby) the week after all the renovations are done to celebrate being done with it all. 4) $5k Book plane tickets to Utah for Christmas so we can see all our family and a rental van for driving around while we’re there. 5) $1k Take our boys to the Lego store and let them run wild. 7) $5200 Book a baby-sitter and buy gift cards so we can do date night once a week for the next year. 8) Split the rest of the money between my husband and I for spending on our hobbies (woodworking and sewing). Hahaha, so my boring answer for the real 50k were I to win it would be nearly completely paying off the mortgage (in Wausau Wis, 50k was 5/6 of my mortgage after a more than 20 percent down payment). But I have to say, that’s not boring to me because it would up my savings rate to a point that FI would come super soon! What’s more exciting than freedom! Otherwise, boy, I don’t spend $50k in two years, so how would I spend it in a weekend? Would booking my next several world traveling vacations count, if I booked them all within one weekend? I would 100 percent finished up my yoga training next year in Germany, book my trip to Estonia/Latvia/Lithuania my sister and I are planning for 2020, and book another trip to Falun Sweden to watch either world cup cross country skiing or biathlon. Yep, I’m a weirdo. Plus I would do plenty of cross country skiing myself. Maybe I would book some place like Monaco that I would never be able to afford otherwise (or wouldn’t try to, anyway). And definitely another trip to the Yucatan, maybe Merida this time instead of Tulum. But I had to try hard to spend even $350 in two and a half weeks in Tulum – definitely not the place to blow money! 1) Being a single parent my son and I couldn’t do much travel as he was growing up, he is now 24 years old and I would love to take him on a beautiful excursion just the two of us, to make up for the time we couldn’t afford it. 2) I would gift airfare/spending money to my parents to take their dream trip to Paris. 3) Lastly, I would purchase my very first car ever a used Volvo SUV. I saw a 2013 White Volvo SUV for $13,677, 105,434 miles on Carfax. 4) If I had money left over I would give to siblings, best friend, niece and nephew. A crate of tennis balls for the dogs, $200? Landscaping for our yard so I can stop battling the six foot tall weeds, $5,000? 4) Donate the rest to charity or perhaps political causes since this is the weekend, and there are issues I feel strongly about. Buy a Tesla. Not the real expensive ones. If I had any money leftover, use it to jump ahead in line so I don’t have to wait so long to get it. Teslas are popular here today! I hopped in one the other month and now totally get why! 1) I’d pay off my truck, because what’s more fun than having an extra $600/mo! 2) I’d stash the rest of it away into my emergency fund so I can use that extra moolah to pay for a kitchen renovation! If I’m being super irresponsible though… I’d probably spend it on a new horse trailer with living quarters, then sell the truck and get a bigger one that can pull something that big! 3. Have my house deep cleaned 1K? 5. Trip to NYC first class for a week 8K? 7. Trip to Florida in winter for a month 8K? Wow that was actually harder to think of than I imagined! Book a house in Florence Italy for a month. Pay for family and friends to stay with us. And while we’re away, the best contractor ever replaces the siding and windows on our house. Wah. Lah! Responsible/not-responsible easy answer: use it as a down-payment to buy a house! Otherwise… ebike conversion kit, a Leaf or some other cheaper electric car… Heck, scrap all that and I’ll put in notice for a year-long trip for that much fun money! I would have an unground swimming pool with bells and whistles built for my grandson who is autistic and doesn’t like much but he absolutely LOVES swimming. Awwwww… that would be such a blessing for him!! Maybe you can start a crowdfunding page or something and see if you can raise money to make it happen? I’d throw in a little to help! $20K – 2 paramotors, one for me and one for my wife. That’s the cheapest way to call yourself a pilot and I’ve been drawn to it for a while now. $15K – New kitchen & floooring. Our house is a 10 year project but if someone else is footing the bill let’s do it now! $10K – Kickstart my 4 kids retirement with $2500 each. Can I get a ruling? Is that allowed? $5K – Give! I really like Paula Pant’s Water project. Had to look up paramotors – very cool! My first thought was PAY OFF STUDENT LOANS! and then you said that I wasn’t to be responsible with this. oh! rules! well, then I’d buy a new truck! I have a great truck but it has 306,000 miles on it. A new F-250, gas engine (V10) would use up that 50,000 really quickly! and NO PAYMENTS!! 306,000 miles!!! WOW!!! You win the used car game!! I guess I have two cars now? Since I’ll be spending this weekend getting ready for host family next weekend (4 adults, 3 kids) in our normal house of 2 I’d…. A Lexus RC in blue. Done. 1) Take family on a European vacation. 2) Every last cent after that would be upgrades on my house. Hhmmm..without actually researching how much things would cost I would say I would spend half on some home remodeling projects that I am currently saving cash for and the other half on a family vacation (we have 5 children, some with significant others, & 3 grandchildren) so a trip to anywhere significant (Florida and all the parks it has to offer maybe??) would probably eat half up fast! 5 children – wow!! I bet your thanksgivings are so joyful! Hmm… new EV to replace the 2006 Prius. Depending which one, after rebates, $30-40k? Trip to a F1 race, or an extended trip for 2 races on back-to-back races. Whatever’s left? New roof & bathrooms for the house. $23-24k plus a couple pretty nice (postage stamp sized) bathrooms. Maybe a battery system for the house to go with the solar panels too…. I’m in with the minivan (45,000$ for the Honda Odyssey)! And a fun vacation in it to Maine with the remaining $5,000 (LLBean stop of course!). I would spend almost all of it on travel. First class flights for that brutal overnight flight to Europe for sure. I’d also get my kids upgraded Apple laptops. We try to instill the value of a dollar in them so they buy their own electronics and we pay the tax and apple care for them. Needless to say it takes them a while to save up but they take great care of all their electronics! They would be blown away to open new top of the line MacBooks totally paid for by us! I would remodel my entire condo then give the rest away. I’m looking at spending something like this next year to buy a travel trailer and a small suv to tow it. Exactly as young fire knight suggested in planning on using it to work remote during summers. A win would just expedite what I’m saving for in a year. YES!!! I HOPE YOU DO IT!!! What an adventure that would be! Easy. I’d take the antartica cruise I want to do with the hubby….30000. I’ve done an African safari, but I’d go do one of those over the top crazy nice camp ones and blow the last 20000. Hand out $100 bills to each employee at a nearby Assisted Living Facility (approximately 100 employees) then hire a local theater group to give a live performance of It’s A Wonderful Life onsite along with a fully catered meal for all residents and staff. Ahhh love them both!!! So creative!! Ok, if I was to just blow the $50,000 in a weekend I would probably buy a new, not practical toy – a convertible mustang. The semi-practical answer is pay to have someone paint the whole interior of my house (a project I really want done but don’t want to do – or pay for!!) and probably a trip away in high end hotels (I just struggle with the thought of paying multiple hundreds of dollars or more for a night at a hotel). Reality – it would go towards knocking down the mortgage! – trip to Vegas: first class flights, high roller suite, limo, spa..and more spa, hiking (pretty cheap) and shopping- clothes and eating at all the best places and insane tipping to everybody! I would probably spend $10k on traveling. Go to a dream destination, somewhere remote and expensive maybe! The rest of the money would probably be saved for a rainy day. You did say to let the wild and crazy out right! I didn’t know Tesla did so much battery/solar stuff?? Just checked out their site – you can get your whole roof in Tesla solar tiles! incredible! I would get a ton of massages. Realistically, a huge chunk of it would go to political causes if that is allowed, because that would seriously help my piece of mind. I would definitely also want to pay someone to sell my car for me, or if it were allowed pay someone to donate it for me and put what I would get from selling it into a savings account. Getting rid of that thing would be seriously useful now that I live in a city and one where street sweeping and snow mean you can’t go out of town for too long without paying to park the thing somewhere, but I kind of need the money from selling it in case I need a car in the future and also selling it sounds really annoying. Then I would hire someone to get my cats to lose weight so I could then pay $1000 to get my cat’s teeth cleaned because the cost of living here is nuts. But basically I would use it for my peace of mind and to deal with annoying problems that money can fix. Peace of mind is a hard thing to buy too, so if you can that’s great!! 3. book a yoga “vacation” at some beautiful place and gift same to friends- 2k? 5. Hire someone to help me research, purchase and set up a new computer and printer. Prepay for any further help I might need. I expect the remaining amount to be about 25k. Split between a donation to an organization I love and a contractor for desperately needed work (ok, something serious and responsible, but it would give me pleasure. Take a luxury 21 day European tour with friend: To London, Paris, Amsterdam, Milan, Venice and stay in fancy hotels and eat in 5 star restaurants. What’s not spent on the travel will be spent on the Shopping in Milan!!! My husband and I actually get into a not-marriage-threatening argument over this. His opinion: pour concrete on the side of our house and buy a couple of four wheelers. My opinions: remodel our house, including new bathroom add in, new carpet, new kitchen cabinets, and a new deck. Our compromise: take the whole family on an Asian tour (mainly Vietnam, Fiji, Japan, South Korea, and Thailand). $500 dinner out with my husband and drinks at a fancy bar with great view afterward. $10,000 – Book a long weekend trip for my 5 year anniversary in April and a January ski trip. $500 – load up at Whole Foods for a night of grilling the nicest steaks, an amazing meat/cheese board, great wine, delicious sides and staples for the week too. $14,650 still left…guess I’d book another trip and head back to the mall. Maybe some nice jewelry for myself (which I never buy) and some nice work clothes and designer pumps. Haha… thanks for playing along though :) Cool y’all have a rooftop deck!! To just “blow”? Easy. Eithad The Residence NY to Sydney $21,747 each way. Oh wow – yeah, that is pretty wild! Invest 40K give 10K to my favorite charity…. ok, ok, I’ll play the game! $21K left….dang this is hard!